– History-making astronauts Sally Ride and Mae Jemison now share store shelf space with ninjas, knights and superheroes as the newest LEGO minifigures to launch for sale. "Women of NASA," a new LEGO Ideas set celebrating the achievements of female pioneers from the space agency's 60-year history, debuted in LEGO stores and toy shops on Wednesday (Nov. 1). The 231-piece set, which is available for $24.99, features four minifigures and three small builds "great for role-playing space exploration missions," LEGO describes on its website. 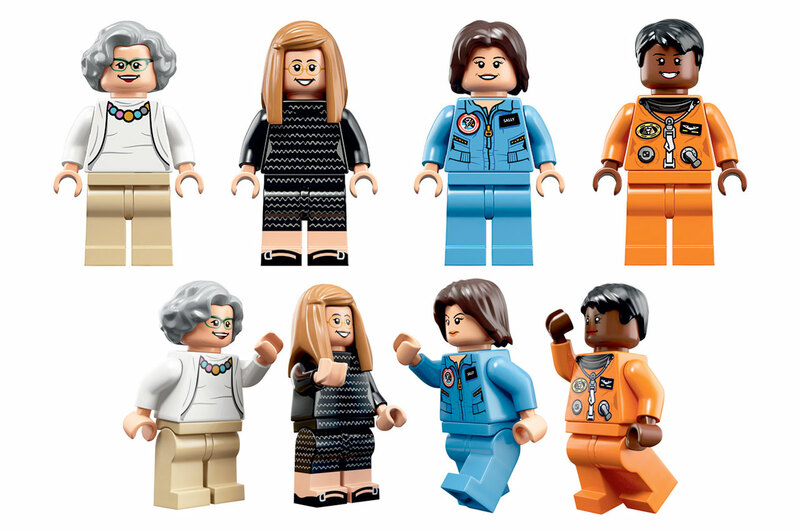 "Explore the professions of some groundbreaking women in science, technology, engineering and mathematics with the LEGO Ideas Women of NASA set," the company wrote on its online shop. 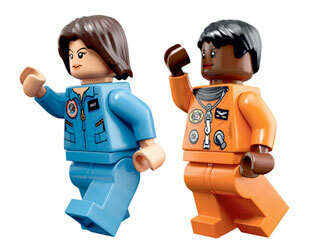 In addition to Ride, who was the first American woman in space, and Jemison, the first woman of color in space, the "Women of NASA" set includes minifigures modeled after computer scientist Margaret Hamilton, who led the creation of the software for NASA's moon-bound Apollo spacecraft, and astronomer Nancy Grace Roman, known to many as the "Mother of Hubble" for her role in planning the famous space telescope. "My first reaction when I saw the figure was, 'Do I really look like that?' But I quickly realized that it was figurative," Roman wrote in an email to collectSPACE. The "Women of NASA" set also includes three builds that illustrate the four women's areas of expertise and serve as display stands for the minifigures. Roman's build features a small model of the Hubble Space Telescope and an image of a nebula. Hamilton's diorama reproduces a famous photo of her standing next to a stack of millions of lines of her Apollo computer code. Ride and Jemison share a model of NASA's space shuttle Challenger, the orbiter that lofted Ride on her 1983 history-making first flight. Both astronauts' minifigures are dressed in the appropriate flight or pressure suit for their respective missions (Jemison flew in 1992 on the shuttle Endeavour). "I worked with LEGO HQ and LEGO designers in Denmark for more than a year on the creation of Sally's minifigure," said Tam O'Shaughnessy, executive director of Sally Ride Science at UC San Diego and the late astronaut's partner. 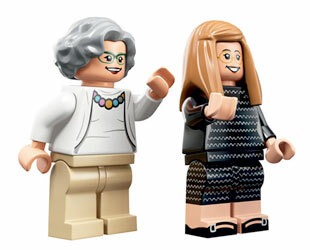 "Although LEGO minifigures are small, the designers have size and other constraints, I'm happy with Sally's likeness." "Sally's figure has her blue eyes, her confident grin and an accurate STS-7 mission patch. 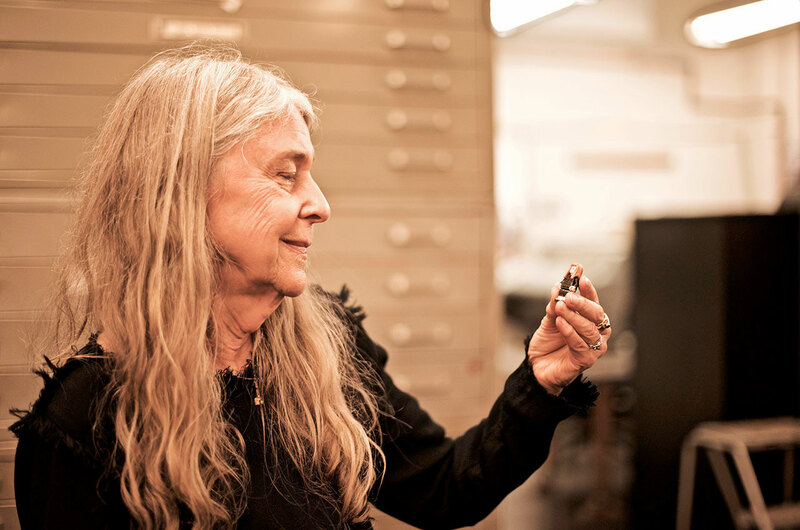 And Sally is holding one of her favorite space tools a camera to take photos of Earth from space," O'Shaughnessy told collectSPACE. Each of the minifigs have two expressions. By rotating the heads, the four women are either shown happy or serious. 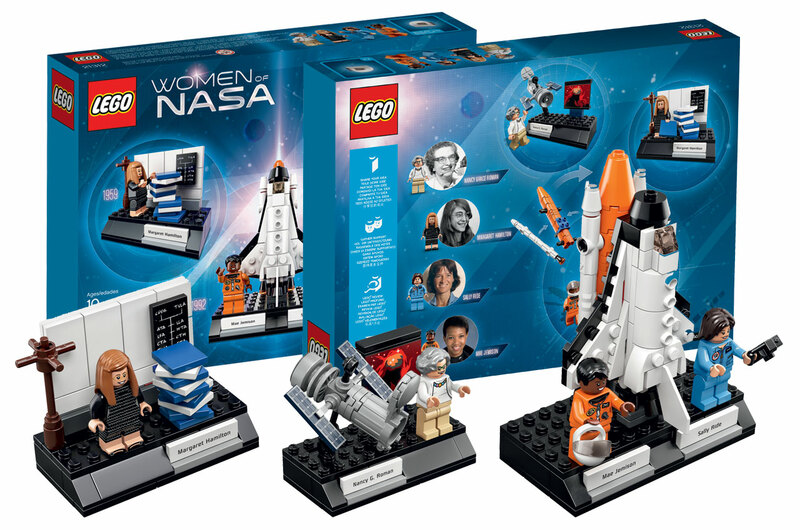 The "Women of NASA" set also includes a booklet about Roman, Hamilton, Ride and Jemison, as well as writer and editor Maia Weinstock, who proposed the set on the LEGO Ideas website. "I'd say it's quite close to my vision, down to my recreation of the famous Margaret Hamilton Apollo code photo!" said Weinstock in an email to collectSPACE. "I think LEGO did a tremendous job of enhancing the Hubble Telescope and space shuttle system, and the minifigs are quite similar to the ones I'd designed." 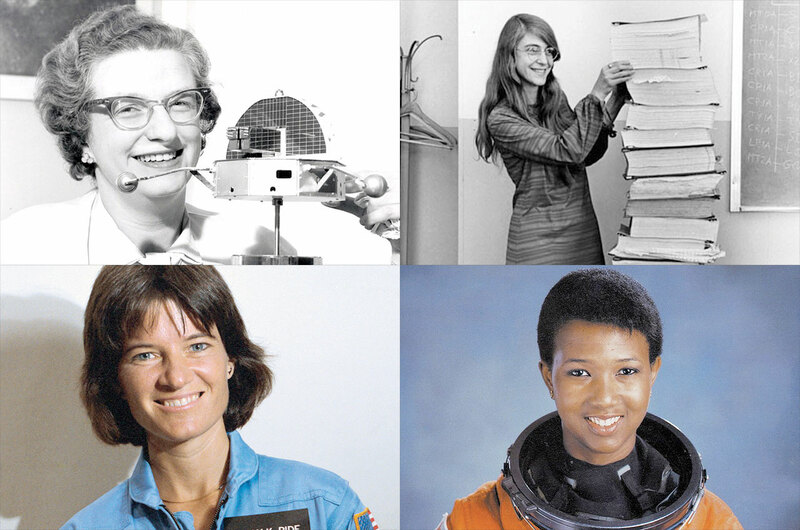 "Overall, my vision of highlighting some pioneering women from NASA's history has been realized," she said. For their part, Roman and O'Shaughnessy said they were hopeful for who the set would reach and inspire. "The main thing that I hope they take away is that women can be scientists," said Roman. "My hope is that girls and boys (as well as their parents, teachers and corporate America!) will recognize the critical role women have always played, and continue to play, in the exploration of space," said O'Shaughnessy. 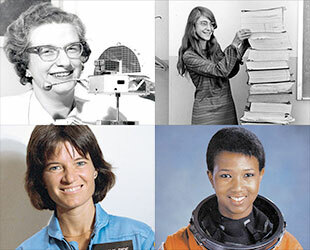 "From planning space missions to designing and building spacecraft and space telescopes; and from launching into space and orbiting aboard the space shuttle or the station to conducting cutting-edge science, women scientists and engineers have made enormous contributions to science, engineering, astronomy and the U.S. space program," she explained. Weinstock, who dedicated the set to the memory of Ride, expressed a similar sentiment. 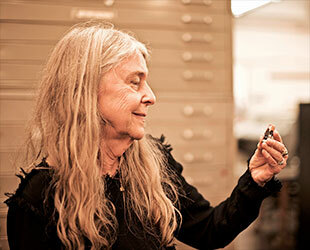 "I hope children will both learn about the women in the set and, of course, enjoy the play experience of building the vignettes and models of some of our most iconic space instruments," she said. "It would be a thrill to learn, in 20 or 30 years, that a woman walking on Mars, or one of the engineers or coders who helped get her to the Red Planet, played with this set and was inspired by it." 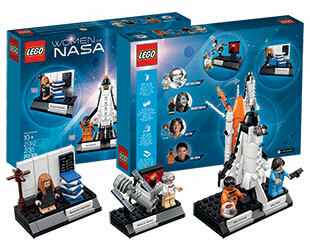 For more information or to order the LEGO Ideas "Women of NASA" set, see the LEGO Shop.